Full English breakfast at CommonWealth Micropub. Are you a fan of pint-size watering holes and superlative British pub food? Here's sad news, then: Emeryville's CommonWealth Micropub (3986 Adeline St.) will have its last day of business on Saturday, December 19. The sister establishment to the original CommonWealth Cafe and Pub (2882 Telegraph Ave.) in Uptown Oakland was open for less than a year. In an email, co-owner Ross Adair said, "We just didn't quite resonate over there, not sure why." That's a shame because the food at the Micropub was delicious. I'll especially miss the Sunday brunch service, which featured what was probably the best full English breakfast I've encountered in the Bay Area. Earlier tonight, the pub sent out a press release that it also posted on Facebook. "We are actively seeking an alternative solution with the hope that the community can enjoy the space again in the near future," the statement said. 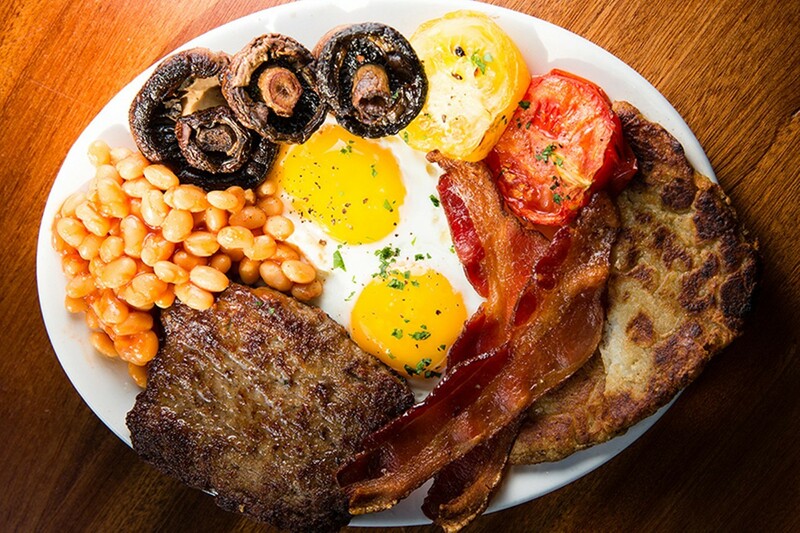 Would a full-on British breakfast spot be too outlandish a thing to hope for? A person can dream. Meanwhile, the original Oakland location of CommonWealth will remain open. The Emeryville space will be available for pop-ups and private events, and it will also function as a commissary kitchen for the Telegraph Avenue pub, so it remains to be seen whether some of the more elaborate dishes that were unique to the MicroPub, thanks to its larger kitchen, will migrate over to Oakland. For now, you've got one more night to make your way over to Emeryville for a pint and some Scotch broth or Yorkshire puddings.